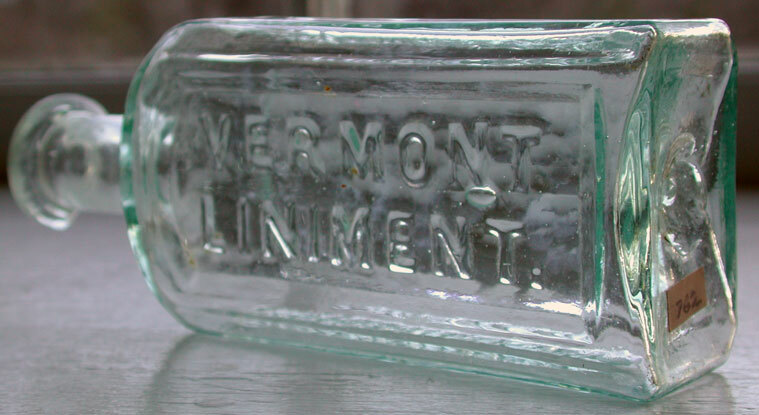 Description: Rare pontiled example of Vermont Liniment by J.M. Henry and Son. J.M. 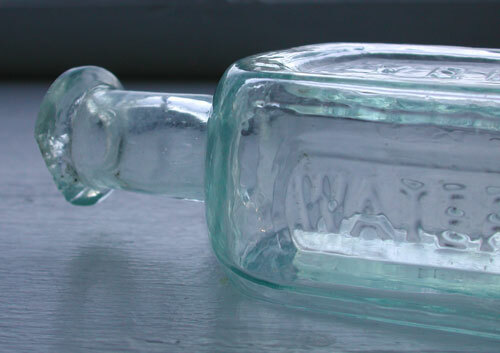 Henry began his proprietary medicine career in Waterbury, VT in 1855 offering “Henry’s Vermont Liniment,” an early advertisement proclaimed it as the “Best Pain Medicine in the World.” I have only seen (2) pontiled Vermont Liniments in the last decade. Embossed: VERMONT / LINIMENT // J.M. HENRY & SONS // WATERBURY, VT. 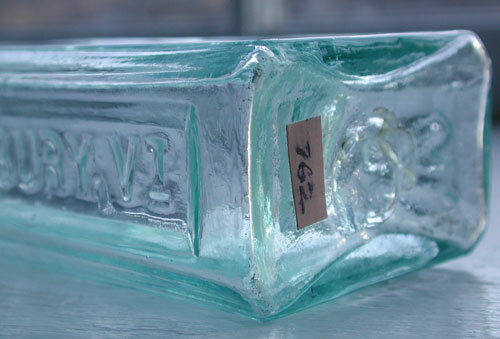 Condition: Very good, glass is sparkling with loads of character. There is a ¾”chip on the backside of lip. Bottle displays very well from several positions - especially front “Vermont Liniment” side (as seen in photo’s).